MONDAY, May 7, 2018 (HealthDay News) -- The risk of complications during vaginal birth is higher for mothers and infants if the mother previously had a cesarean delivery, a new study reports. However, the researchers stressed that the overall risk of a complication for any one woman in this situation remains low. The new findings about attempted vaginal birth after cesarean are from an analysis of data from nearly 200,000 Canadian women who had a prior cesarean delivery and then gave birth between 2003 and 2014. Although the number of women with a prior C-section delivery rose during the study period, the rate of those who underwent or attempted vaginal delivery after a prior cesarean remained about the same, the team reported May 7 in the CMAJ (Canadian Medical Association Journal). Overall, "the absolute rates of adverse maternal and neonatal outcomes are low" -- regardless of whether a woman who has had a prior C-section undergoes vaginal delivery or has a repeat C-section, noted study author Dr. Carmen Young, of the University of Alberta. "Both are reasonable options for women in general," she said in a journal news release. However, attempting vaginal birth after a prior cesarean "continues to be associated with higher relative rates of severe adverse maternal and neonatal outcomes," compared to undergoing another C-section, Young said. The researchers also found that outcomes among infants -- but not among mothers -- worsened between 2003 and 2015 in cases where the baby was delivered vaginally after a prior C-section. That finding was unexpected, however, and Young's team said further study is needed to help explain it. According to the researchers, the findings show the importance of appropriate patient selection for attempting a vaginal delivery for women with a prior history of C-section. There also needs to be careful monitoring of labor and delivery in these cases, to reduce the risks for these women and their infants. In the end, the decision as to mode of delivery depends "on the woman's desire for a vaginal delivery, her tolerance for risk and whether she is planning a small or large family," Young said. 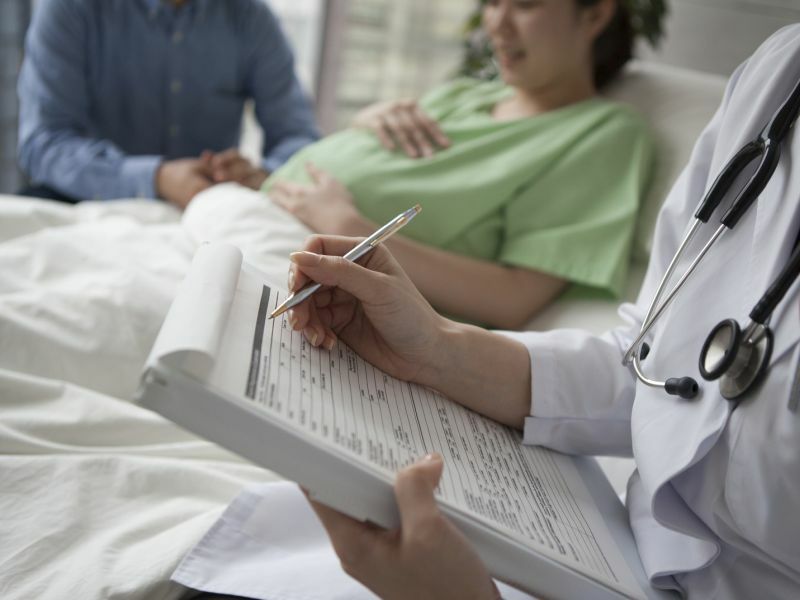 Dr. Mitchell Kramer directs obstetrics and gynecology at Huntington Hospital in Huntington, N.Y. He wasn't involved in the new study, but said it "reveals some interesting and significant insight into this issue." Kramer agreed with the researchers that the odds of complication for any one woman who delivers vaginally after a C-section remain low. Still, the recent increase in risks for women with this type of history "is concerning and certainly presents an argument for a more rigorous patient selection process, and strict management protocols," he added.